Although reliability is important in any setting, it is of utmost importance in medical environments. As a company with numerous experience in medical compressors, A&W Compressor understands that clinics, hospitals, and ERs rely on their medical air compressor during life-or-death situations for efficiency and air purity, and that’s why we provide only the most durable, dependable, and high-quality models available. We are a manufacturer’s representative for BeaconMeades and we refuse to offer anything less than the best. 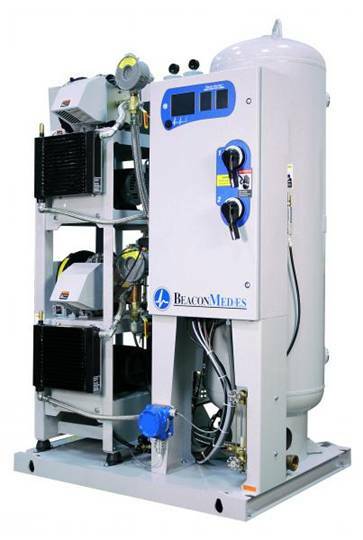 With easy installation and reliable, efficient performance, our compressors feature the best of the latest technology. In addition to BeaconMeades, we also offer other brands including Atlas Copco, Saylor-Beall, Champion, and more. In addition, our customers can also choose from new, used, or refurbished models. For more information on a medical air compressor from A&W Compressor, call or e-mail us today. We’re happy to serve locations throughout TN from Johnson City to Knoxville, Chattanooga, Nashville, and beyond.